Min Gu is an elected Fellow of the Australian Academy of Science (FAA), the Australian Academy of Technological Sciences and Engineering (FTSE), the Australian Institute of Physics (FAIP), the Optical Society of America (FOSA) , the International Society for Optical Engineering (FSPIE), the Institute of Physics (FInstP), and the International Institute of Electric and Electronic Engineers (FIEEE). As well as Distinguished Professor, he is Associate Deputy Vice-Chancellor for Research Innovation & Entrepreneurship at Royal Melbourne Institute of Technology University (RMIT University). Since 2003, he has been a Node Director of the Australian Research Council for Ultrahigh-bandwidth Devices for Optical Systems. He was a Laureate Fellow of the Australian Research Council, a University Distinguished Professor in optoelectronics and Director of the Centre of Micro-Photonics at Swinburne University of Technology. He as appointed as Pro Vice-Chancellor for Research Capacity (2011-2015) and Pro Vice-Chancellor for International Research Collaboration (2009-2011) at Swinburne. He was also the Foundation Director of the Victoria-Suntech Advanced Solar Facility. From 2005 - 2010, he was a node leader of the Australian Cooperative Research Centre for Polymers. Previously, he was the Special Advisor to Swinburne’s Vice-Chancellor, Acting Deputy Vice-Chancellor (Research and Development) and Vice President, Dean of Science, Acting Dean and Deputy Dean (Research) of Engineering and a member of the University Council, Academic Board, and Board of Research at Swinburne. Gu is a world leading authority in the fields of nanophotonics, nanofabrication, biophotonics and multi-dimensional optical data storage with internationally renowned expertise in three-dimensional optical imaging theory. He is the sole author of two standard reference books, Principles of Three-Dimensional Imaging in Confocal Microscopes (World Scientific, 1996), and Advanced Optical Imaging Theory (Springer-Verlag, 2000). He is also the first author of two cutting-edge books, Femtosecond Biophotonics: Core Techniques and Applications (Cambridge University Press, 2010) and Microscopic imaging through tissue-like media: Monte Carlo modelling and applications (Springer Verlag, 2015). He has over 400 papers in internationally refereed journals including Nature, Science, Nature Photonics, Nature Communications, PNAS and Phys. Rev. Lett. He is a member of the Editorial Boards of 17 top international journals. 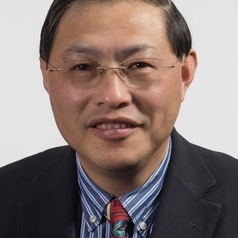 He served as President of the International Society of Optics within Life Sciences and Vice President of the International Commission for Optics (ICO). He was the Chair of the ICO Prize Committee and member of the ICO Galileo Galilei Award Committee and served on the Young Scientist Prize Committee in Optics of the International Union of Pure and Applied Physics. He served on the Board of Directors of the Optical Society of America (Executive committee, the finance committee, Chair of the International Council, Chair of the Working Group on Asia). He was awarded the Chang Jiang Chair Professorship (Ministry of Education, China), the World Class University Professorship (Ministry of Education, South Korea), the Thousand Talents Award (Ministry of Education, China), Einstein Professorship (Chinese Academy of Science), and Laureate Fellowship (Australian Research Council).He is a recipient of the W. H. Steel Prize (Australian Optical Society, 2011), the Ian Wark Medal and Lecture (Australian Academy of Science, 2014) and the Boas Medal (Australian Institute of Physics, 2015). He was a Finalist of the Australian Innovation Competition (2013) and a winner of the People’s Choice KCA Research Commercialisation Award (2015).